House: No 5, 1907 - 1911. Regiment: Black Watch. Died: 29 October 1914 aged 21 in Belgium. Killed in action near Gheluvelt. Son of Lt. Col. A. S. Blair, C.M.G., T.D., and Mrs. Elinor W. Blair, of 36, India St., Edinburgh. Lower V�Army I. House Prefect. Cadet Officer. R.M.A. Woolwich; R.F.A. (Special Reserve) 1912; 1st Bn. Black Watch (Royal Highlanders) 1914. House: Sch, 1895 - 1900. Regiment: South Wales Borderers. Died: 31 July 1917 aged 35 in Belgium. Killed in action at Pilkem Ridge. Son of F. D. O. Bullock, 59 Mount Park Road, Ealing, b. 1882. Lower V�Remove. Minor Scholar. School Prefect. Head of House. XI Football; Shooting VIII; XL Cricket. Lieutenant in Corps. Corpus Christi College, Cambridge; B.A. ; was in Ceylon. Great War, Private Inns of Court O.T.C. 1914; 2nd Lieutenant 1915 11th Bn. South Wales Borderers. 'He was in Ceylon when war was declared and came home to join the Inns of Court O. T. C. Receiving his commission in the South Wales Borderers in January 1916, he went to the front in the following June. He was killed in action on July 31st, 1917.' (Malvernian, Nov 1917). House: Sch, 1903 - 1909. Regiment: Shropshire Light Inf. Died: 25 September 1915 aged 25 in Belgium. Died of wounds near Hooge. 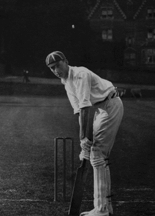 Born 22nd April 1890, Ross, Herefordshire. Son of the Rev. William Shuttleworth Clarke, M.A., Vicar of Marstow, Ross, Herefordshire, and Maria Brandram. Upper IV�Middle V. Junior Chapel Prefect. Head of House. Champion Athlete; XXII Football; XL Cricket. Lieutenant in Corps. St. John's College, Cambridge; B.A. 1912; President C.U.A.C. ; ran the Mile 1911-13, and the Cross-Country Race 1911 v. Oxford; ran the Two Miles for Oxford and Cambridge v. Yale and Harvard 1911. He came 2nd in the mile and won the 3 miles in 1912. Assistant Master Golden Parsonage Preparatory School, Hemel Hempstead. Great War, Private 1914, afterwards Captain D Coy, 5th Bn. King's Shropshire Light Infantry. 'Robert Clarke was one of those who make more friends than acquaintances. He was a man of few words, but his conversation often revealed the enthusiasm of the man of action. Living a hard, clean life he delighted in honest sport, both for himself and for those children of rich and poor alike whom he helped to train up to true manhood. It was characteristic of him that when war began he chose to learn soldiering in the ranks. To his own personality he owed his corporal's stripes, his Colonel's recommendation for a commission, and his subsequent promotion. And as he had lived, so he died, handing on the lamp of life to those who shall succeed him. He was killed on September 25th.' (Malvernian, Dec 1915). House: No 2, 1899 - 1902. Regiment: Royal Irish Fusiliers. Died: 25 May 1915 aged 31 in Belgium. Killed in action. Son of Alexander and E. J. Cooke, of Nottinghill House, Malone Road, Belfast, b. 1884. Formerly in the Linen Trade; afterwards served in British South African Police, S. Rhodesia. 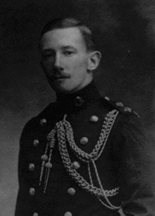 Prior to 1914 he served with the South African Police and was assisting as Adjutant in the Ulster Volunteer Force upon the outbreak of war. 3rd Bn. Royal Irish Fusiliers. House: No 2, 1903 - 1907. Regiment: Irish Horse & R. F. C.
Died: 22 October 1914 aged 26 in Belgium. Killed in action. Son of Mrs. Dennis, c/o Cox & Co., Charing Cross, S.W. b. 1888. Army III�I. School Prefect. Head of House. Shooting VIII 1906,07; House XI Football. R.M.A. Woolwich; R.F.A. 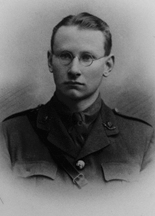 1909; Lieutenant 1912. 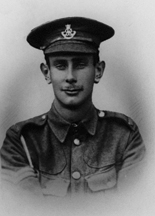 'Owen Dennis was killed by a shell when he was directing his battery�s fire from the infantry trenches. His Major states that he considered him to be the smartest officer. Throughout the time that he was at the front he displayed unflinching bravery. This was quite in accordance with what we noted in him at school. He had a definite aim before him, and he showed steady resolution in attaining it. He served his school and his country well.' (Malvernian, Dec 1914). House: No 7, 1907 - 1909. Regiment: Honourable Artillery Company. Died: 05 December 1914 aged 22 in Belgium. Killed in action near Wytschaete. Son of James Fabian, of 6, Daleham Gardens, Hampstead, London, b. 1892. Lower Modern II�Matriculation Class. House Prefect. Shooting VIII 1908,09 (captain). Articled to a Chartered Accountant; H.A.C. 1909. Service Number 542. 1st Bn. Honourable Artillery Company. 'On leaving School he was articled to a firm of Chartered Accountants, joined the H.A.C,, and gave up much of his spare time to work at the School Mission, He became secretary and subsequently captain of the H.A.C. Rugby Football team, and in 1913 was Battalion Shot. 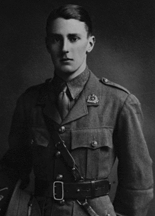 He went to France early in September, and though he was twice ordered home from hospital owing to an injured knee, he each time evaded the order, and finally managed to get to the trenches.' (Malvernian, March 1915). Killed in action at Kemmel. House: No 8, 1898 - 1902. Regiment: Queen's Own Oxford Hussars. Died: 26 May 1915 aged 31 in Belgium. Killed in action. Son of J. J. Gale, Benson, Wallingford, Berks. b. 1884. Lower V �Remove. School Prefect. Head of House. XXII Football; XL Cricket; Ledbury Cap. Great War, Corporal Oxfordshire Hussars 1914. House: No 5, 1892 - 1894. Regiment: Kings Royal Rifle Corps. Died: 02 November 1914 aged 36 in Belgium. Killed in action. Son of Sir Henry Hawley, 5th Bart., and Lady Hawley. B. 1878. King�s Royal Rifle Corps 1809; Captain 1905; South African War 1899-1902, Despatches, Queen�s Medal with 6 Clasps, King�s Medal with 2 Clasps. 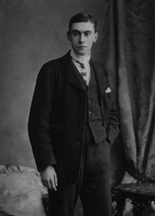 Husband of Ursula Mary Hawley, of 14, Stafford Place, Buckingham Gate, London, S.W. House: No 1, 1887 - 1890. Regiment: Middlesex Regt. Died: 16 February 1915 aged 42 in Belgium. Killed in action. 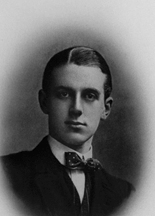 Son of Mr. and Mrs. Ernest Hilton; husband of Hylda Swan (formerly Hilton), of 7, Elysium Row, Calcutta, India. b. 1873. Roberts� Horse; Middlesex Regt. 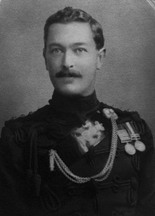 1900; Captain 1906; South African War 1899-02, Despatches, Queen�s Medal with 6 Clasps, King�s Medal with 2 Clasps. 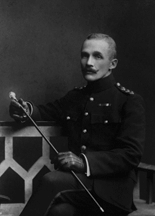 'He received his commission in the Middlesex Regiment in 1900 from the ranks of Roberts' Horse, after a campaign of much distinction in South Africa. He took part in the relief of Kimberley, and was present at the operations at Paardeberg, Dreifontein, and Vet River, and was in actions near Johannesburg, Pretoria, and Diamond Hill in the Transvaal, and Lindley, Bethlehem, and Wittebergen in the Orange River Colony.' (Malvernian, March 1915). 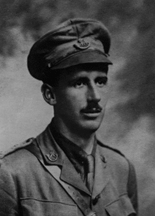 He entered the front-line on 10 February 1915, and was killed in action less than a week later, on 16 February 1915, during fighting to recapture some lost trenches. House: No 2, 1910 - 1913. Regiment: Northumberland Fus. Middle Shell�Matriculation Class. House Prefect. Shooting VIII. House: Sch, 1890 - 1893. Regiment: Gordon Highlanders. Died: 25 September 1915 aged 40 in Belgium. Killed in action at Hooge. Son of J. Hopkinson, 36 Netherhall Gardens Hampstead. B. 1875. Lower IV� Upper V. School Prefect. Head of House. XI Football 1892,93; House XI Cricket. 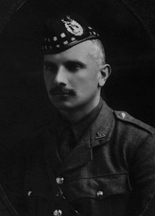 Farmed for some time in Aberdeenshire; North of Scotland Bank, Elgin; Factor Drumtochty Estates; Lieutenant 6th Batt. Seaforth Highlanrs. 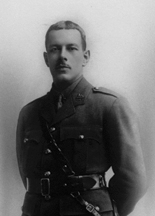 Great War: Lieutenant 4th Batt. 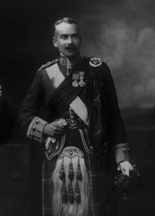 Gordon Highlanders 1914; Captain. 'He joined the Gordon Highlanders from the Reserve of Officers having served formerly with the 6th Seaforth Highlanders. 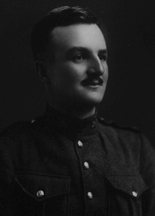 On September 25, 1915, he was in command of a double company, and had the honour of being selected to lead the attack. He had reached the third line of the German trenches, and was standing beside a captured gun when he was shot through the head by a sniper. We have had the privilege of reading many letters written by his fellow-officers and men, which testify alike to his universal popularity and his sterling qualities as a soldier. 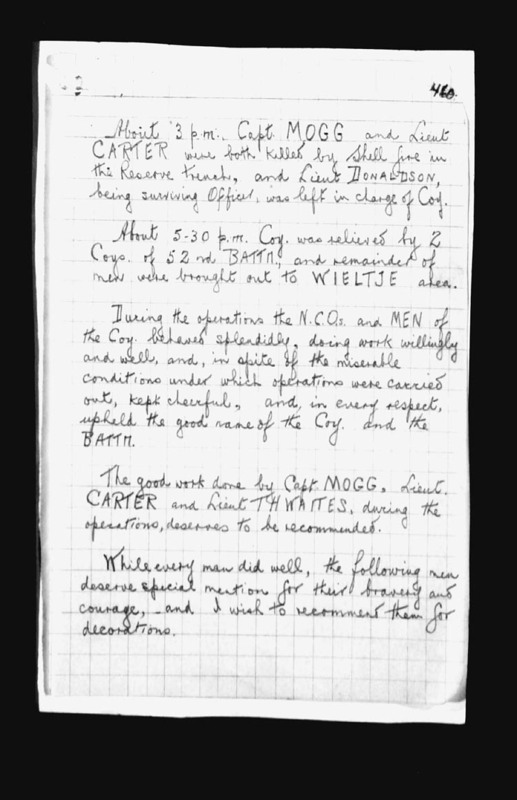 One quotation, however, will suffice: "He was one of the bravest men I ever fought beside, and his daring and courage, combined with his cool and collected behaviour during this very difficult operation, could not be excelled by the very bravest. His first thought was always for the pleasure and comfort of the men under him; and he was dearly loved by all." This is high praise; but his contemporaries who remember the boy on the football field and as Head of his House will recognise the man.' (Malvernian, Dec 1916). House: No 5, 1905 - 1907. Regiment: South Staffordshire Regt. House: No 5, 1893 - 1897. Regiment: Australian Infantry. Died: 08 June 1917 aged 38 in Belgium. Killed in action at Messines. Son of Colonel Cecil Newton Lane, C.M.G., and Adela Mary Lane, Foster Winston Hall, Salop, b. 1879. Aspatria College; served with Paget's Horse in the South African War, Medal; afterwards in Tasmania. Great War, Private Australian Infantry. Husband of Mrs. V. A. Lane. Native of Shrewsbury, England. 'He was one of the most popular boys in the house. With particularly pleasing manners, and a bright disposition he made many friends'. (Malvernian, Jul 1917). House: Day, 1892 - 1896. Regiment: Seaforth Highlanders. Died: 12 November 1914 aged 35 in Belgium. Killed in action near Ypres. Born 1 Dec 1879, Shanghai, China. Son of James and Jane MacKenzie, Daresbury, Malvern. Junior School � Upper IV. Seaforth Highlanders (from Militia) 1901; Captain 1911; South African War 1900-02, Queen�s Medal with 5 Clasps: Saxe-Ernestine Order 1907. Great War, attached Gordon Highlanders. 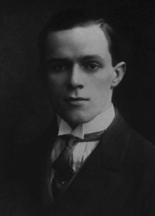 Husband of Louise Scott MacKenzie, of 14, Paulton Square, Chelsea, London. He was killed instantly by a shell at Hooge near Ypres on the 12th November 1914. 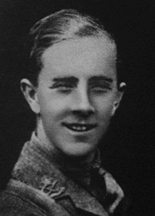 His recreations were golf and football, and he was a member of the Worcestershire Golf Club and Nairn Gold Club. House: No 3, 1911 - 1914. Regiment: Worcestershire Regt. Died: 16 June 1915 aged 19 in Belgium. Killed in action in Flanders. Son of J. J. Muir. b. 1896. Upper IV B�Science I. School Prefect. Head of House. XI Cricket; XXII Football; Fives Pair. Cadet Officer. Great War, 2nd Lieutenant 6th Bn. attd. 3rd Bn Worcestershire Regt. 1914. 'He left us only last Christmas. Here he earned the respect and affection of all who knew him by the genuine simplicity of his character and a certain natural dignity. He was not one of those to whom a soldier's career would in itself be likely to make any great appeal, but a high sense of duty impelled him to try, despite his short sightedness, to obtain a commission. This he gained in the 6th (Reserve) Battalion of the Worcestershire Regiment. 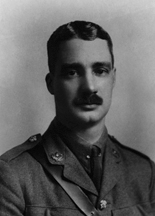 He went to the front in March with the 3rd Battalion, and was killed in action in Flanders on June 6th.' (Malvernian, Jul 1915). 'The orders to the Battalion were to support and consolidate the positions gained by the 9th Inf. Bde. In the captured trenches about �Y� wood and to the North of Hooge, and help them consolidate. After an examination of the position had been made, it was decided that immediate support was not necessary. After the assault by the 9th Infantry Brigade, the 7th Infantry Brigade had orders to occupy their assembly trenches and this was done. The H.A.C. at once followed the battalions Royal Fusiliers and 1st Lincs and helped them to consolidate, but after communication with them in captured trenches it was found that immediate support to the H.A.C. which had been ordered, was not necessary, so battalion remained in the assembly trenches vacated by the 9th Inf. Bde., remaining there under heavy shell fire, and a good many casualties occurred. 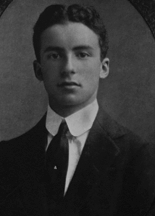 [Killed: Capt EW Buckler, Lt B Muir, Lt RN Loring; Wounded 11 officers. Rank and File: Killed 30, Wounded 255, Missing 24. Total 309]'. House: Sch, 1897 - 1901. Regiment: Cheshire Regt. Born: 16th July 1883. Son of Hugh Nicholson (Cotton Broker) and Margaret Gifford Nicholson (formerly Broadfoot), Sutton Hall, Little Sutton, Cheshire. Great War, 2nd Lieutenant 2nd Bn. Cheshire Regt. 'Ypres, 24th May. 4am. 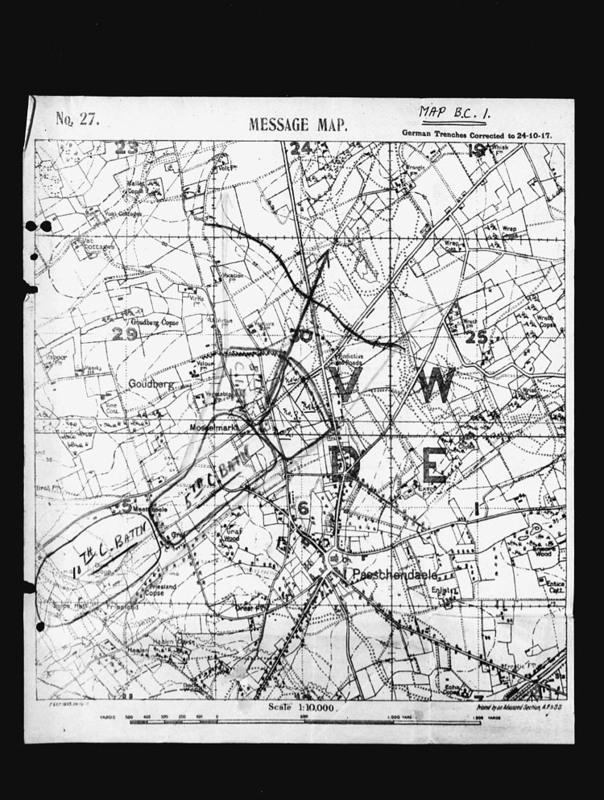 Battalion proceeded to Ypres (from Brandhoek) following line of railway south of town and thence into trenches in square I 10 (Sheet 28 1/40000) from which an attack was made on enemy trenches about midnight. Battalion was subjected to a withering shell fire in the morning while advancing over open ground. 11pm 25th May. Battalion relieved and returned to Brandhoek. House: Sch, 1908 - 1911. Regiment: Kings Own Yorkshire Light Infantry. Died: 08 May 1915 aged 21 in Belgium. Killed in action at Ypres. Born 14th July 1894. Son of Rev. George and Eva Blanche Palmes, Naburn Hall, York. R.M.C. Sandhurst; 1st Bn. 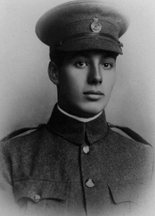 King's Own Yorkshire Light Infantry 1914; Lieutenant 1915. 'He was killed in action near Ypres whilst rallying his men in a charge against the Prussian Guard.' (Malvernian, Jun 1915). 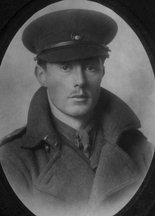 'He was wounded on May 8th round Zonnebeke. It took three wounds to finish him. He came out with us and was a very nice gentleman. I saw him wounded the first time, but he kept going and was going about with a bayonet in one hand and a revolver in the other. It was the case of every man for himself, and we had to get back to keep the line straight. He got finished on the way and his servant was wounded trying to save him. The stretcher bearers sent in the news of his death. A man of my Coy, Pte Storey, who has been killed since saw him dead and told us.' (Ref Lance Corporal Dexter, No 14 Clearing Hospital, July 23rd 1915, Boulogne). 8th May 1915. Trenches heavily shelled with high explosive; this was followed by a ferocious attack. C & D Companies were shelled out of their trenches. 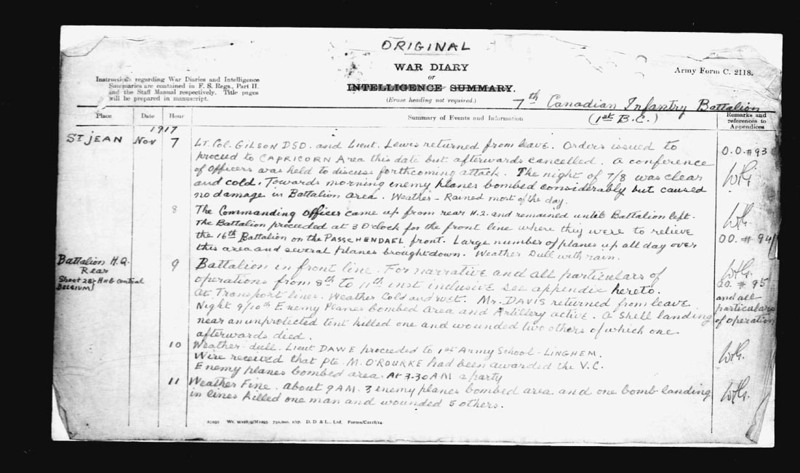 A & B drove off ferocious attack and withdrew from trenches at night. House: No 1, 1897 - 1902. Regiment: London Scottish Regt. Died: 13 November 1914 aged 30 in Belgium. Killed in action near Ypres. Son of Douglas Petrie, White House, Hadley, Barnet. b. 1884. "E" Coy. 1st/14th Bn. London Regiment (London Scottish). '"Roy," as he was always called, was thirteen when he joined us, and he spent more than five years here. His characteristics were an independent nature and an upright view of life and its duties. He was good at work and games, and possessed a charm of manner which made him popular with all. 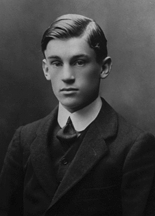 When he left school he had the distinction of passing the Surveyors' Institute Examination at the head of the list. He had apparently a very successful prospect before him, but he placed his duty to his country before his private interests, went with the London Scottish to the front, and met his death near Ypres.' (Malvernian, Dec 1914). His unit arrived at Hooge in the Ypres salient on 7th November 1914, and on the 8th November they moved to Zillebeke and into trenches in the wood 1 � miles, south-east of the village. Here they stayed until 13th November, heavily shelled day and night. Their right flank was very vulnerable and a farmhouse on the left flank was occupied by the enemy. Several small attacks were made on their trenches during the first night there and on 10th November there was a fierce artillery bombardment that destroyed the HQ dug-out. Some of the trenches were so badly damaged that new ones had to be dug. The next day, 11th November, at 6.30am, the whole of the British line here was heavily shelled accompanied by a constant rain of rifle bullets. Then, from the German trenches, only 100 yards away, came the enemy infantry, advancing in large numbers from the woods behind them. By this time his battalion were fighting in two separate groups, having men from 2nd Welsh and 2nd Royal Munster Fusiliers between them, and a very strong force of Germans were heading towards the right group. Their right flank was enveloped and things looked serious until a counter attack against the exposed left flank of the enemy was made by some of 2nd King�s Royal Rifle Corps which restored the situation. Later the left half of the 14th London also came under serious attack and this time the situation was saved by bringing up what remained of Battalion HQ into the line. By the end of the day the Germans had made no gains in this sector. During the night of 13-14th November, the 14th London were withdrawn from the line and moved back to a wood near Hooge before going into Corps reserve the next day. 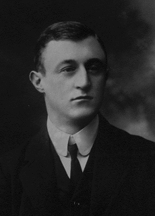 Alan Petrie was one of the casualties on the 13th November. House: No 6, 1893 - 1896. Regiment: North Lancashire Regt. Died: 08 November 1914 aged 36 in Belgium. Killed in action near Kemmel. Born on 12th Sept 1878. Son of T. T. Prince, Laurel Lodge, Barnet. Emmanuel College, Cambridge; B.A. 1899; Manchester Regt. 1901; North Lancashire Regt. 1908; Captain 1912; Malay States Guides 1910-13; South African War 1901-02, Queen's Medal with 3 Clasps. Great War. 1st Bn. The Loyal North Lancashire Regiment. Despatches. 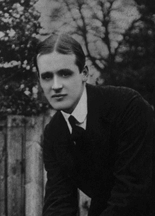 He married Emma Caroline, daughter of William Beadell Bacon, Tunbridge Wells, and left two sons, Harold, born in November 1911, and Ralph Bacon, born in February 1914. It was reported he was shot in the head but was too near the German lines to be reached. House: No 8, 1909 - 1912. Regiment: South Staffordshire Regt. Died: 27 October 1914 aged 19 in Belgium. Killed in action. Son of St. G. C. W. Robinson, Woodville, Sligo. b. 1895. Modern III�Army II. House XI Cricket and Football. Lieutenant 3rd Batt. South Staffordshire Regt. 1913. Great War, mobilised 1914, Lieutenant 1914. 'His brother officers have written of him with praise and affection, describing him as a most promising soldier, and speaking of his wonderful calmness and pluck under fire. On the day of his death no less than five officers had been killed or wounded, and he was left in command of the Company; and it was while going round to see that they were safe that he met his end.' (Malvernian, Dec 1914). House: No 7, 1894 - 1900. Regiment: Duke of Cornwall's Light Inf. Died: 15 February 1915 aged 32 in France. Killed in action. Son of Archibald C. C. Rogers (Public Works Dept., India), and Jennetta Rogers, of 5, Eaton Place, Fisher St., Paignton, Devon and The Haven, Paignton, b. 1883. Junior School�Army Side. House Prefect. House XI Football. Duke of Cornwall's L.I. (from Embodied Militia) 1901; Captain 1912; M.V.O. (Member of the Victorian Order) 1910. He obtained his commission from the Militia in 1901 and his captaincy in 1912. In 1908 he was A.D.C. to the Governor and Commander-in-Chief, Bermuda, and from 1908 to 1910 served as A.D.C. to the General Officer Commanding, N. Army, India. (Malvernian, March 1915). House: No 5, 1907 - 1910. Regiment: Suffolk Regt. Died: 01 May 1915 aged 23 in France. Killed in action at Zonnebeke Canal, Ypres. Son of Wyndham and Constance Rushbrooke, of Nowton Cottage, Bury St. Edmund's and Rushbrooke Hall, Bury St. Edmunds, b. 1892. Middle IV B - Upper Modern II. School Prefect. XI Football; XXII Cricket. Cadet, British North Borneo Civil Service, 1913; Lieutenant 3rd Batt. Suffolk Regt. 1912. Great War, Captain. 3rd Bn. attd. 2nd Bn. and 1st Bn Suffolk Regiment. 'As a boy he was singularly free from self-assertion, and had that rare power of sympathy which made others show him their best. He played all games well, and in the true sporting spirit. He was made a School Prefect while still young, and his early departure was a loss to the School. 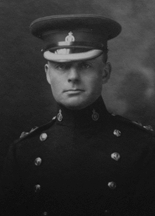 He joined the Special Reserve with a view to taking a Commission in the Army; but a good opening offered in Borneo, and he joined the Civil Service there in 1913. When war broke out he was not released for military service, but in 1915 he resigned his position, and came home to re-join the Special Reserve. 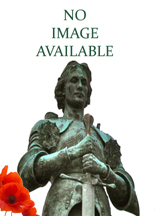 He was sent to Flanders at once, and was reported "missing" after an attack in the summer. He is now officially declared killed, and his loss will be deeply regretted by Malvern friends.' (Malvernian, Mar 1916). 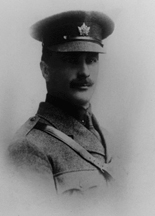 This officer was wounded on the 24th May at Hooge Chateau on the right of Ypres. Could not get away. He possibly might be wounded and prisoner of war. Was wounded by machine gun fire. 'At Zillebeke on Whit Monday he was killed during an attack and was left between our trenches and those of the enemy. We had to retire 400 or 500 yards. Did not actually see Capt Rushbrooke killed but there are others who did, and it is pretty certain that he is dead'. (Extract from statement made by Sergeant Farman). 'On Whit Monday May 24th 1915, we were ordered at 2am to move up from billets to join Divisional reserve. We moved about 2.5 miles up the Vlamertinghe Ypres road & awaited orders. 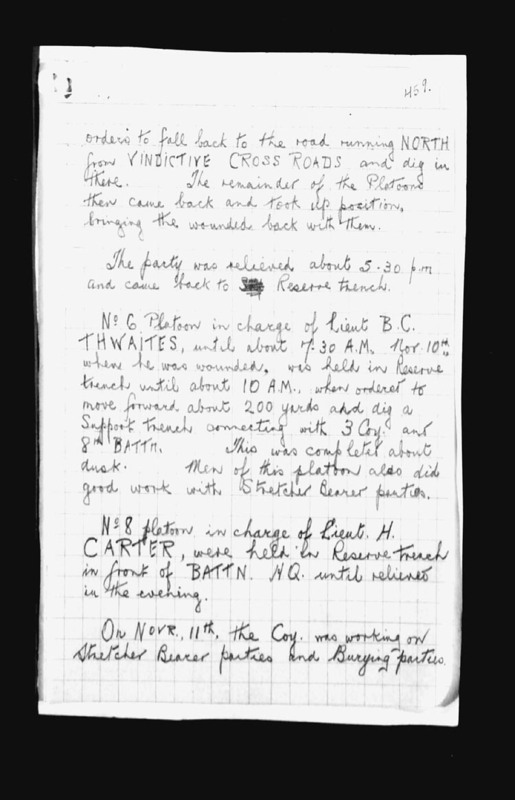 At 11am we received orders to reinforce Cavalry who had been gassed; we arrived at G.H.A. lines at 3pm and the Northumberland Fusiliers & Cheshires were front line supported by Welsh Suffolks, under command of Major Toke (Welsh Regt). During the second line advance A & B companies were in front. After advancing about 700 yards we were ordered to fix bayonets & Capt Rushbrooke asked me to get him a rifle & bayonet, which I did. When the line halted Capt Rushbrooke said that he would go & find Major Maycock who was in command, as he was not satisfied that we were going in the right direction, leaving his rifle & bayonet with me. After waiting about 5 minutes, I saw the line move & I advanced with them, thinking that Capt R. had joined his company & given the order to advance. I have not seen him since, & in my opinion he is undoubtedly killed. The attack was not a success and we had to retire.' (Edward C.S.M. 'A' Company). House: No 3, 1903 - 1907. Regiment: Shropshire Light Inf. Died: 09 August 1915 aged 27 in Belgium. Killed in action in Flanders. Son of A. Taylor, Starston Place, Harleston, Norfolk, b. 1888. Upper Shell�VI. School Prefect. Head of House. XI Cricket; XL Football. Pembroke College, Cambridge; B.A. 1910. Assistant Master St. Andrew's, Eastbourne; in business (Osier's, Birmingham). Great War, Lieutenant 5th Shropshire L.I. 'He took the greatest interest in all that belonged to school life, and his cheerful disposition together with a sense of humour made him a splendid companion. As Head of No. 3 he showed the qualities of a real leader; he never spared himself, and by his kindness and patience he always got the best out of others. 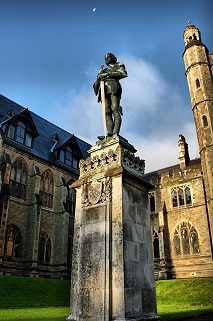 On leaving Cambridge, he returned for a short while to his preparatory school, St. Andrew's, Eastbourne, and after that he went into Osier's Glassworks in Birmingham. 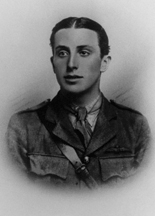 He was killed in Flanders on August 9th, aged 27. He met his death while in command of an advanced trench, a shell killing him instantaneously while he was endeavouring to bind up the wound of one of his corporals.' (Malvernian, Nov 1915). House: No 2, 1909 - 1913. Regiment: Royal Fusiliers. Died: 31 July 1917 aged 22 in Belgium. Killed in action. Son of Captain J. Waley, Northumberland Street, W. b. 1895. Great War, Private Middlesex Regt. 1914; Lieutenant 12th Bn. Royal Fusiliers . 'On the first day of the war he enlisted in the Middlesex Regiment, but was transferred to the O.T.C., and gazetted to the Royal Fusiliers. 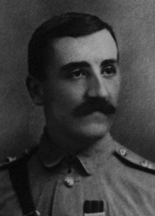 He went with his battalion to France, and was seriously wounded in the fighting at Loos in 1915. He developed tetanus, and lay for many weeks between life and death. On recovery he re-joined the depot, and in due course went back to his original battalion in France, where, within 48 hours of his return to the trenches, he met his death leading his platoon.' (Malvernian, Nov 1917).